Maurti Suzuki India was up 4% to Rs 9,647 on BSE in intra-day trade on Monday after the company said that the board approved a revision in the method of calculating royalty which would result in lower royalty payments for new model agreements starting the Ignis. This would be implemented after approval by the board of Suzuki Motor Corporation, the company said in a press release on Thursday, after market hours. The country’s largest carmaker, posted a 3% growth in profit at Rs 17.99 billion for the October-December 2017 (Q3FY18) quarter. The automobile major attributed the low profit growth to an increase in tax rates and lower non-operating income due to mark-to-market impact on the invested surplus, compared to last year. The net sales revenue for the quarter rose 14% to Rs 189.40 billion. The company said its operating profit in the third quarter expanded by 26.7% to Rs 23.48 billion helped by higher volume, cost reduction initiatives, lower sales promotion expenses and forex benefit, partially offset by adverse commodity prices. Analysts at SBICAP Securities maintain ‘buy’ rating on the stock as the brokerage firm expects with a robust launch pipeline, strong order book, capacity expansion and benign competition Maruti Suzuki India to report 12.5% volume and 20% EBIT CAGR over FY18e-20e. 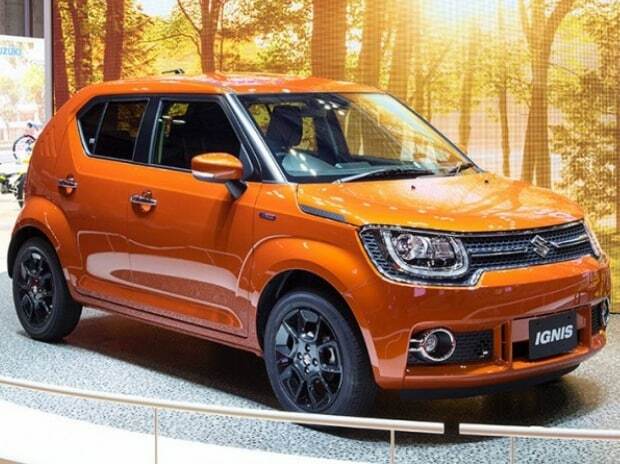 “Beginning with the Ignis model, which was launched in Jan’17, royalty payments for all new models to Suzuki, Japan, have been revised downwards. We upgrade our FY19e-20e EPS by 2-6% to factor in lower royalty payments and continued strong outlook,” SBICAP Securities said result review. “We believe with the capacity additions in Gujarat, we don’t foresee any production constraints going ahead. However, we do expect some margin pressure for coming quarters due recent increase in commodity prices. On the positive side, enhanced scale and better product mix (premiumization of MSIL’s portfolio – higher share of vehicles priced >Rs5 lakh), would moderate margins in the long run,” analyst at IDBI Capital said in result review and maintain ‘hold’ rating on the stock. At 10:34 AM; the stock was trading 3.9% higher at Rs 9,638 on BSE, as compared to 0.89% gain in S&P BSE Sensex. A combined 743,611 shares changed hands on the counter on BSE and NSE so far.